This pack is cinematic and epic while creating an overall energetic, hard-hitting, profound, and variant atmosphere for the producer and listener. Heavy-handed sample pack with build-ups that set you up and then delivers an intensely awe-inspiring drop that will leave them wanting more. Perfectly processed FX, percussive thrills and fills. Apply a hearty bounce, a vivacious intro or a rhapsodic vocal chops. Rumble the subs or shake the earth's core, we got your bass needs covered. Also included are 5 construction kits that pull back the layers of song creation (+ 5 Ableton templates) and show you how the pro's do it. Every sound, preset, and keystroke they use are now in your hands to mold and contour into your own stunning and enchanting mix. The combinations are unfathomable. This pack has no limits and will expand your imagination while exceeding your expectations. The top Future Bass / Melodic Dubstep sounds for serious producers looking to be on the cutting edge of sound. W. A. 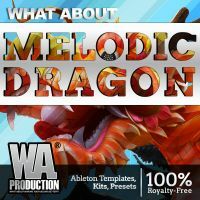 Production is never stingy on the sounds and this pack has over 560 pristine sounds, presets, and construction kits. Get your mix on track with W. A. 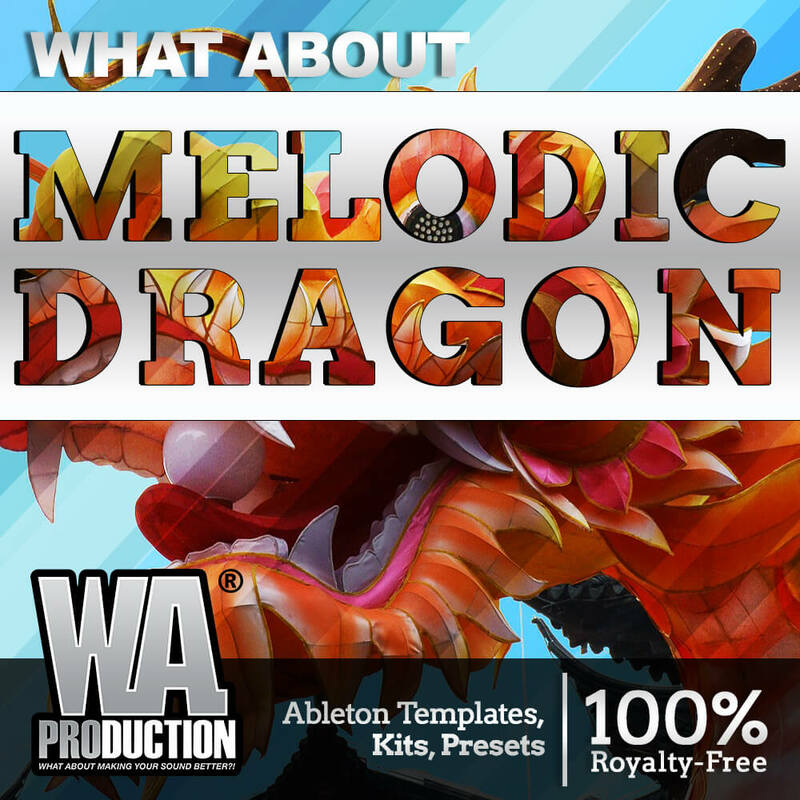 Production – What About: Melodic Dragon Pack. The fine print: Here at W. A. Production we adhere to a strict standard of quality. We spend time behind the board with hands-on and ears open accepting only the best of the best. Our producers are affluent in the EDM scene and at the forefront of creation. We won't put our name on just anything. This ensures you that there are no regurgitated sounds of yesterday. We want to be the leader, we want your mix to lead. We don't follow, we stay one step ahead of the game and offer these sounds to you so that you can pioneer the forefront of audio production. You expect the best and so do we. Buy our packs with confidence and knowing you'll get the latest and most innovative sounds with the utmost respect for audio production quality. 5 Ableton Templates (Ableton 10 and Higher). 5 Construction Kits (Presets + MIDI Provided). 5.71 GB / 563 Files In Total.